AK Studio is a Eufora experience salon. Eufora products are planet conscious and cutting edge. 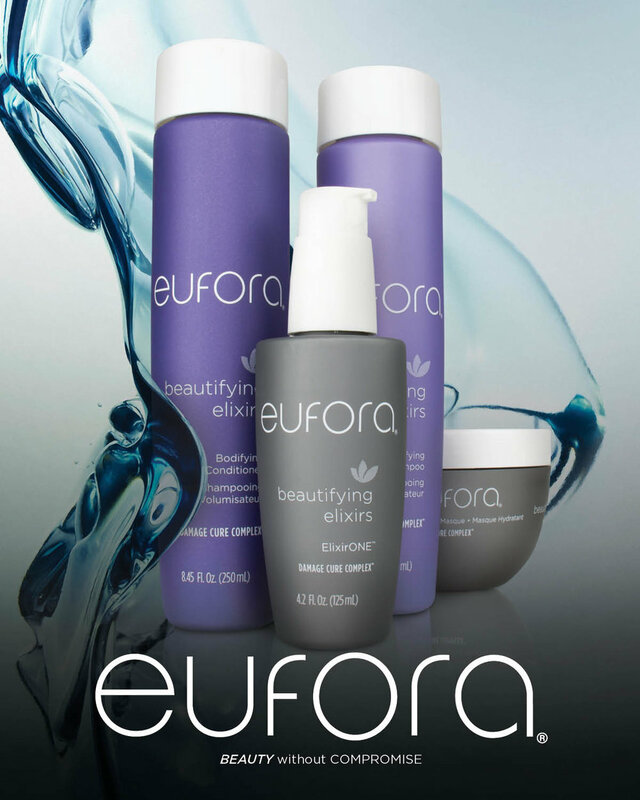 Eufora color is known for its true clear colors, vibrancy, and amazing shine. We love discussing how to integrate change so you never get bored with your look. We are highly trained and committed to creating the best hair and makeup looks for each individual We listen to your specific needs and create a look that will make you feel like a rockstar! AK Studio provides brides and grooms the best in wedding day service. We take time to consult with you and pinpoint your personal style to ensure that everyone is looking and feeling their best on your wedding day. We offer in salon and on-site hair and makeup services. Imagine....You've had your trial run with hair and make up and now you know that you will look and feel just the way you want to on your wedding day. Nothing is left to chance. You can relax knowing you will be taken care of on your wedding day. Whether in our studio or at a location of your choice, your stylist will be on time and professional. Touch up kit includes: lip color of your choice, blotting papers, and perfecting powder. $20 to apply lashes without makeup. Contact us for travel fees. For minimums and retainers see policies. To schedule your trial, contact us at 303-996-8070. Our stylists are expertly experienced in commercial film and photography. From fashion spreads to video production, we can be your on-site hair and makeup specialists. * All color prices are subject to change depending on number and amount of colors used. Eufora is a pharmaceutical grade aloe vera based product. Advanced technology utilizes important botanical extracts that have been scientifically proven to benefit the hair, scalp and skin. Eufora is committed to the environment and the safety of the consumer that uses their product. It is petro-chemical and paraben free. Eufora strives to create products that not only provide performance, they also maintain a high level of integrity with unique botanical ingredients and performance benefits above all. Beautifying Elixirs™ provides the most advanced solution for damaged, dull, brittle and frizzy hair.Hair color is protected from fading and stays vibrant longer than ever before. Advanced technology specifically formulated to strengthen, repair and protect damaged hair against thermal styling, multiple chemical process and environmental conditions. Going beyond repair, Damage Cure Complex™ protects the hair fiber from future damage. When people think of Colorado, they think of beauty. In Denver there are two artists whose work lives to reflect the beauty of the nature that surrounds us. Angie DeFrancis-Cox and Kori Schell of AK Studio work to reveal the beauty within each client that walks through the door through innovation, creativity, and passion. Together Kori and Angie collaborate with talented photographers to get their work published across an array of mediums. AK Studio has produced and have been published several times in such magazines as Her Life, Jute, WED, and Aisle, just to name a few. A Colorado native, Kori Schell is a concept designer. Her creativity is abundant and evident in her rich ideas for photo shoots and fashionable wearable accessories. From still photography to film, runway to live performance and special events Kori showcases her skill as a makeup artist/ hair stylist. The Knot alongside countless commercial advertisements. Across Denver she has worked with the top wedding planners ensuring that every bride’s beauty is incomparable. 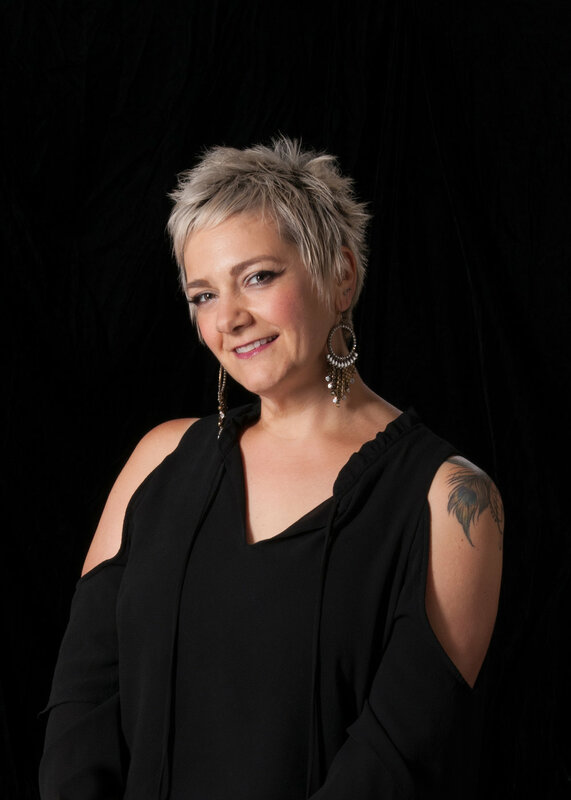 Angie Defrancis-Cox, a Colorado native has been a stylist and makeup artist for over 20 years, working at some of the most premiere Denver salons. No matter how long she has been doing hair and makeup she feels she is still learning new and inventive ways to make her client's beauty experience better. It is Angie's belief that every woman can feel like a rockstar - all it takes is the right look. Angie has been full of creative ideas that she felt the need to get out of her head and bring to life visually by way of print media. When she opened AK Studio with her business partner Kori, that opportunity became more clear. Ak Studio requires a 24 hr notice of cancellation for all studio appointments as a courtesy to other guests. Without 24 hr notice, 50% of the scheduled service fee will be due. Wedding services for a bride require a trial appointment before the wedding day. Cancellations or changes must be made two weeks before the date of services. On the day of the trial appointment $150.00 will be due for hair and makeup and will be applied to the Bride’s services. If only hair or makeup $75.00 will be due day of trial. Contract and deposit due upon reserving stylist for your event. A $350 non-refundable deposit is required and will be applied to services on the day of the event. On-location weddings require a minimum non-negotiable fee of $500.00 per stylist. Weddings with more than 8 services require a second stylist. We schedule by appointment only. Please email or call us to schedule your appointment. Parking is available on the south side of 6th or the nearby side streets.